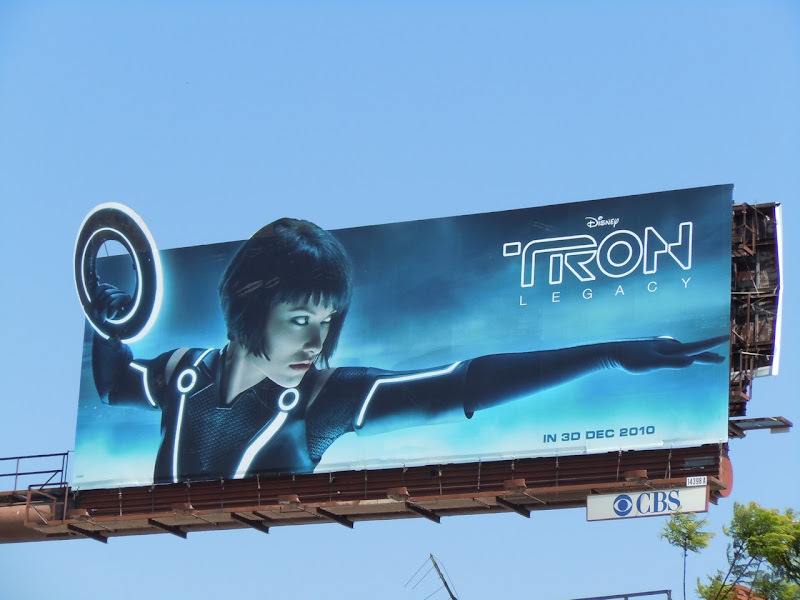 Disney has already teased us with lots of images of dueling Lightcycles, futuristic racing vehicles and Garrett Hedlund as 'Sam Flynn', so it's high-time that we saw one of the female stars of Tron Legacy take centre stage. Enter Olivia Wilde looking suitably fierce and futuristic as 'Quorra', a fearless warrior program in the world of Tron. 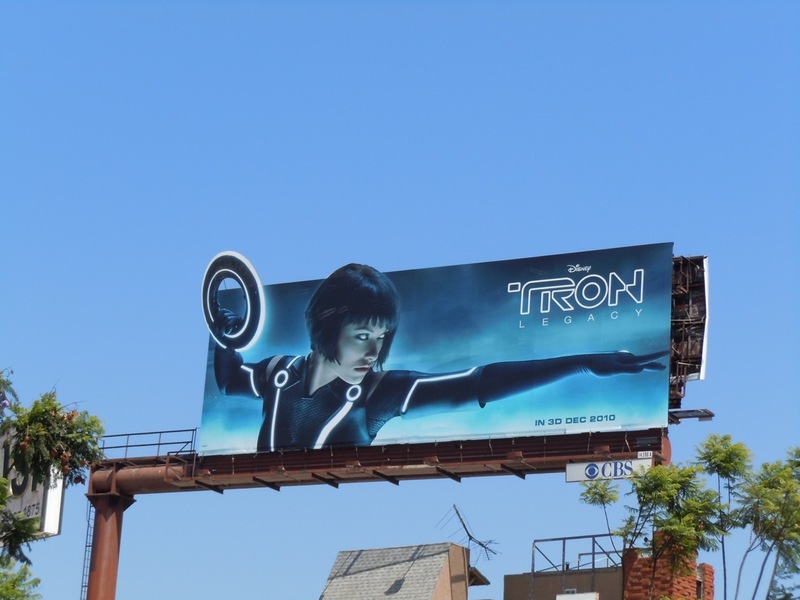 This new teaser billboard was photographed along Santa Monica Boulevard on August 30, 2010. Daily Billboard is going to miss all these exciting new creatives every month once the movie finally opens in December.